Zootechnia is the only specialised international event in Greece and the Balkans regarding livestock and poultry. 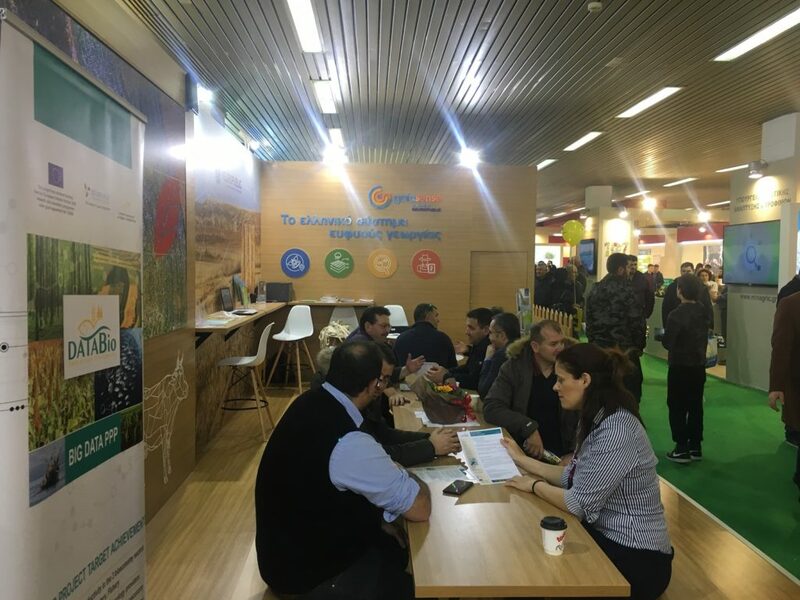 It was held for the 11th time from 31 January to 3 February 2019 at the Thessaloniki International Exhibition Centre (TIF Helexpo). 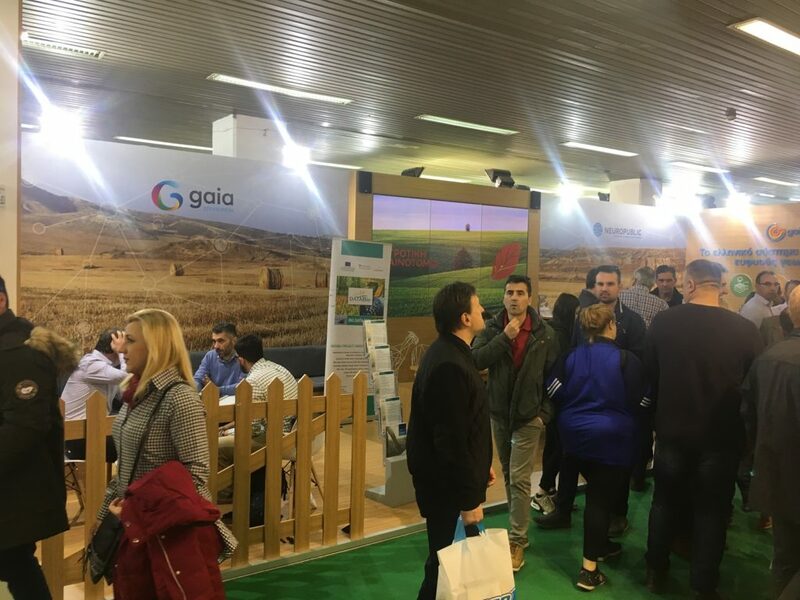 DataBio’s project partners NEUROPUBLIC and GAIA EPICHEREIN participated in the aforementioned Fair that attracted more than 70,000 visitors, among which farmers and farm owners, agricultural advisors, agricultural researchers and agrifood business managers. 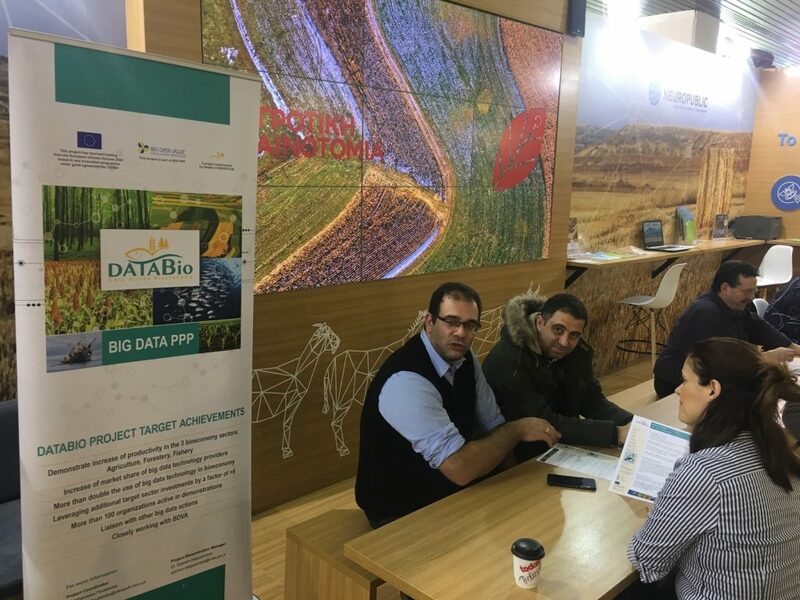 The DataBio project was promoted, in a specially arranged section of the joint NP – GAIA booth. There, participants were informed about the aims and objectives of the project and mostly, on how the outcomes of the project (referring to smart farming and digital farming tools) will benefit their farms.